Great photography takes more than a great camera, so step it up with high-performanceSanDisk Ultra CompactFlashmemory cards-from the global leader in flash memory cards.The SanDisk Ultra CompactFlash memory card delivers excellent shot-to-shot performance, offering read/write speeds up to 30MB/s. 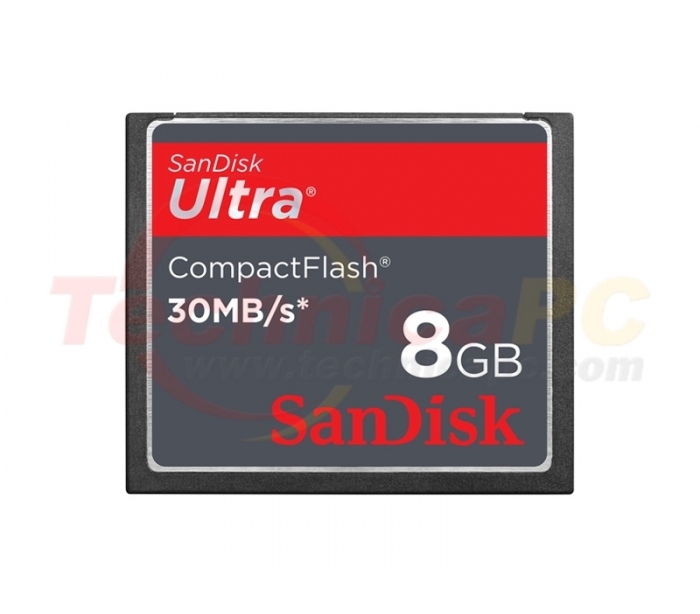 The SanDisk Ultra CompactFlash memory card's fast data speeds decrease latency between shots, so you can take photos in rapid succession. You can also enjoy faster image viewing and more efficient in-camera editing. With their excellent transfer speeds, the SanDisk Ultra CompactFlashMemory Card ensures smooth video capture with Full HD video (1080p) camcorders. The card can keep up with the taxing memory demands of Full HD video formats. The SanDisk Ultra CompactFlashmemory card has plenty of room to accommodate high-resolution image formats, such as RAW and JPEG. Available in capacities up to 16GB, it can store thousands of photos and your favorite video clips.